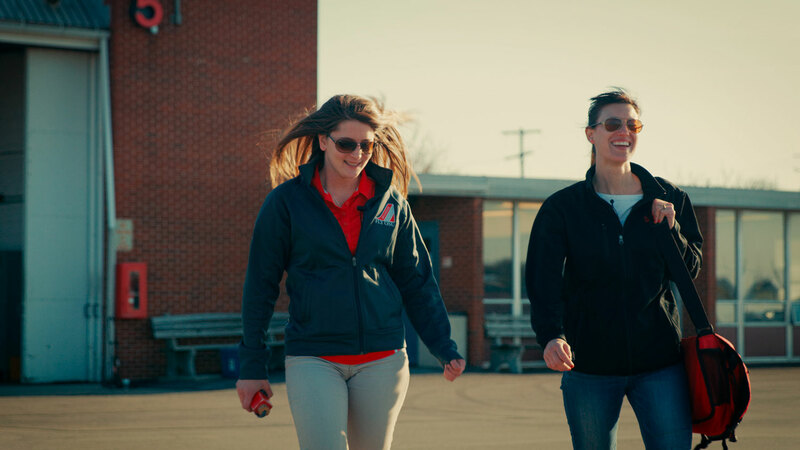 In a recent episode of Winging It, Britt tried out for The Ohio State University Flight Team and I was able to spend some time learning about the program. Talking with the students and coaches about the history, successes, and operation of the OSU Flight Team was really enlightening. In fact, it got me thinking about how and why a non-university flight training operation might take some tips and tricks from flight team. The members of the OSU Flight Team are motivated and excited about flight training, they put hours and hours of work into becoming better pilots, and they are great advocates for the program. Pretty much exactly what you want your customers to do. So what motivates them and keeps them engaged? What can you do at your flight school and with your customers to get the same results? One of the most notable aspects of the OSU aviation program is their strict adherence to a highly detailed Standard Operating Procedure or SOP. Just about every aspect of a flight from preflight planning to enroute cross-country to traffic pattern operations is covered in the school’s SOP. This creates an operational environment with the least amount of unknowns possible and drastically reduces the amount of confusion a student must overcome when learning a new maneuver or event. A good SOP isn’t just about safety, it should also set the acceptable technique for maneuvers that could be completed in many ways. Steep turns are a great example of a maneuver where having an SOP with a defined technique will greatly help you customers and instructors. An experienced pilot could meet the Practical Test Standards for steep turns by using one of several methods, but it would be incredibly confusing and overwhelming to teach a new Student Pilot all ways you could fly one and have them choose their “favorite”. While it’s one thing to have a clear SOP, the real reason that it’s been so successful at OSU is that every student, instructor, and coach believes in, embraces, and uses the approved procedures on every flight. So write a detail, clear, and opinionated SOP, get your instructors buy-in, and make it central to your operation. Once you’ve got an SOP, you’ll need to make sure your customers and instructors are using it on every flight. It might take some time and a few difficult conversations, but in the long run you’ll be producing safer pilots and happier customers. The OSU Flight Team members didn’t join because they wanted to do something easy … They want to do a unique and difficult thing well. Flight Team is hard, but the program at OSU provides the students with very clear goals and the coaches give them honest, objective feedback. Your customers didn’t start flight training because they expected it to be easy, but a major killer of customer motivation is when they start to believe that they can’t hack it … most likely caused by a lack of clearly defined goals and honest, constructive feedback. So give them the chance to be good at a difficult thing by establishing clear goals before every flight or simulator session, then let’em know how they did when it’s done. And make the feedback objective, clear, and constructive: “About 120 degrees into that steep turn we were 130 feet low, you corrected before we rolled out, but next time try to correct as soon as you notice you’re getting low” is much better than “You we’re a little low”. Every student and alumni I talked to named the sense of community as their favorite part of Flight Team. Team Captain and CFI, Allison Dennis said “It’s a really good community to be in; a lot of friends, a lot of networking opportunities with our talented alumni. That’s what I’ve gotten from it, great personal connections as well as the aviation skill set.” Flight Team members naturally grow close as they share the highs and lows of training, the stress of competition, and spend hours together at various practices and events. In addition, the organization helps form a strong community by following established traditions and creating mentor-mentee relationships. These “rituals” and relationships help foster a sense of belonging and creates ways for new members to be accepted into the group. 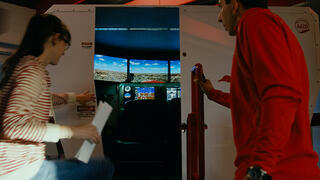 You can grow a community of pilots centered around your flight school by taking some of the OSU Flight Team’s cues. Create a sense of community by hosting a monthly social event, FASTTEAM or other training seminars, and frequent group fly-outs to interesting places in your area. Even more importantly, you should help new pilots and customers join your community by creating both formal and informal traditions and programs. At a minimum, publicly celebrate the many milestones your customers reach during their flight training. If you really want to build a strong network in your operation, start a formal mentor-mentee program where new pilots are paired up with more experience pilots. Running a program like this will be some extra work for you, but it’s great way to actively grow your community of pilots. A mentor will help a green private pilot discover the opportunities her new found skills open up and will encourage her to continue to improve those skills, making a strong mentor a great supplement to a formal Pilot Proficient course. From a business perspective, successful mentor programs tend to create better pilots that rent aircraft more often and are more likely to return to your school for advanced training. There may be a pretty big difference between an aviation university sponsored Flight Team and your operation, but that doesn’t mean you can’t learn a great deal from what the highly successful program at OSU has built.